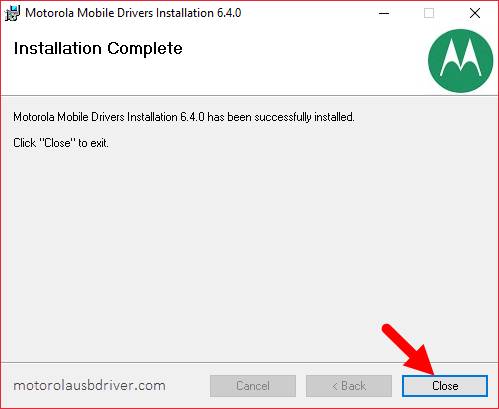 On this page we are going to guide you How to install the Motorola USB Driver on Windows Computer in few clicks only. 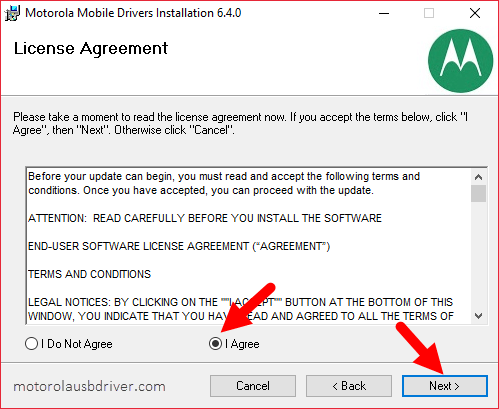 Step 1: Download the latest Motorola USB Driver from our Download Section. 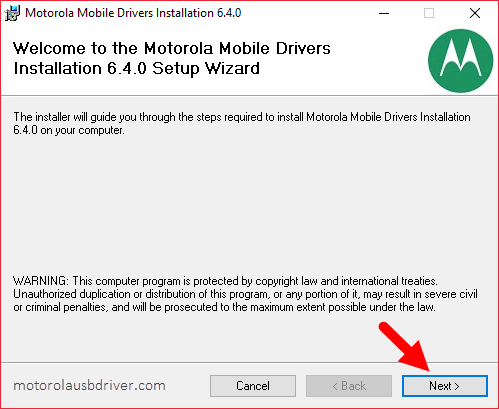 Step 3: After extracting the Driver you will get the Motorola Driver Setup File. Step 6: Now, Click on I Agree Checkbox and Click on Next Button. Step 7: Now, Installation will be completed within a minute. Step 8: Once Installation is Completed, Click on Close Button to Exit the Setup. Now, you are ready to connect your Motorola Smartphone and Tablets to the Windows Computer. 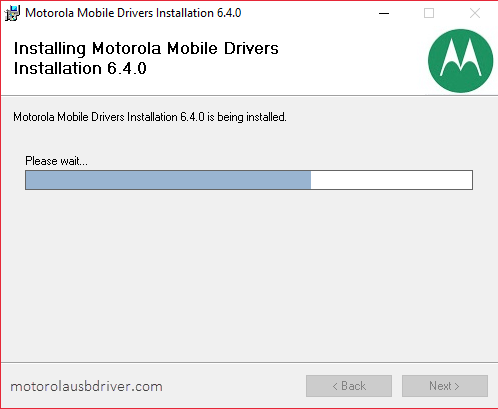 [*] Download Motorola Driver: You can download the latest Motorola USB Driver from our Download Section. [*] Credits: Motorola USB Driver is Officially Created by Motorola Mobility Inc. So, Full credits goes to them for sharing the drivers for free.